On the occasion of the 80th birthday of the Dalai Lama, US Secretary of State John Kerry extended warm wishes to His Holiness, praising his commitment to the messages of peace, compassion, and non-violence. US Secretary of State John Kerry on Monday greeted His Holiness the Dalai Lama on the occasion of his 80th birthday, saying people around the world are inspired by his messages of peace, compassion, and non-violence. "I am pleased to extend warm wishes to His Holiness the Dalai Lama on the occasion of his 80th birthday on July 6," John Kerry said in a statement, on Monday. The statement reads: "People of diverse faith and non-faith traditions around the world are inspired by his messages of peace, compassion, and non-violence." "I have always appreciated His Holiness' humour, wisdom, and humility, as well as his dedication to his people and to humanity," he added saying, "I wish His Holiness the very best on this auspicious occasion." 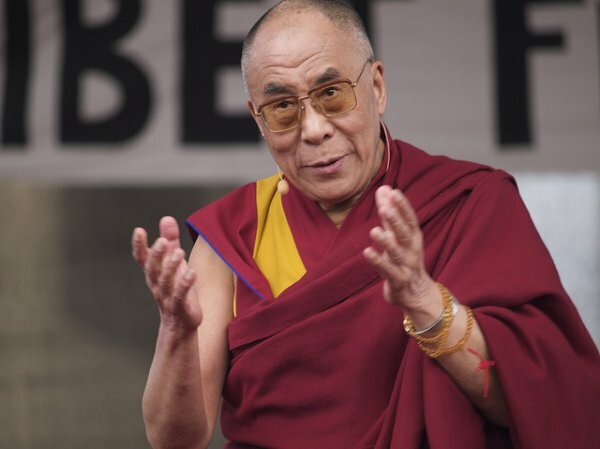 "In many ways, His Holiness the Dalai Lama has profoundly touched not only the lives of the Tibetan people, but also countless others throughout the world," said Tashi Namgyal, North American Representative to the Tibetan Parliament and co-chair of the Gratitude Events Organising Committee. "This birthday celebration honours the Tibetan leader for the wisdom and spiritual guidance he has provided to both Buddhists and non-Buddhist; and for his unwavering efforts to alleviate the sufferings of all sentient beings," Tashi said.